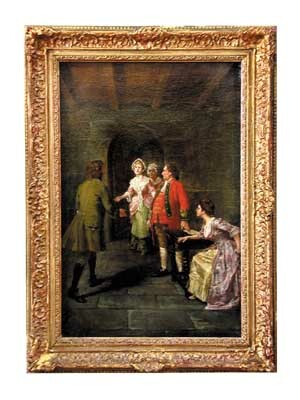 "The Confrontation" 19th Century framed British oil on canvas. Beautiful artistry in original gold gilt frame. Items Similar To "77.4418 "The Confrontation" 19th C. Oil on Canvas"